Muhammad (peace be upon him) was born in Makkah in the year 570. Since his father died before his birth and his mother died shortly thereafter, he was raised by his uncle who was from the respected tribe of Quraysh. He was raised illiterate, unable to read or write, and remained so till his death. His people, before his mission as a prophet, were ignorant of science and most of them were illiterate. As he grew up, he became known to be truthful, honest, trustworthy, generous, and sincere. He was so trustworthy that they called him the Trustworthy.1 Muhammad(peace be upon him) was very religious, and he had long detested the decadence and idolatry of his society. 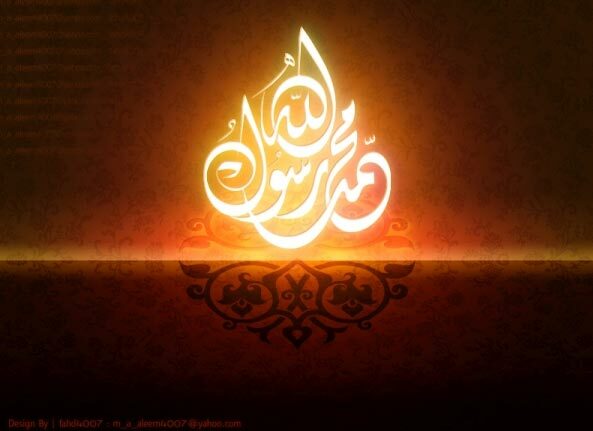 At the age of forty, Muhammad(peace be upon him) received his first revelation from God through the Angel Gabriel. The revelations continued for twenty-three years, and they are collectively known as the Quran. After several years, Muhammad (peace be upon him) and his followers were able to return to Makkah, where they forgave their enemies. Before Muhammad died, at the age of sixty-three, the greater part of the Arabian Peninsula had become Muslim, and within a century of his death, Islam had spread to Spain in the West and as far East as China. Among the reasons for the rapid and peaceful spread of Islam was the truth and clarity of its doctrine. Islam calls for faith in only one God, Who is the only one worthy of worship. The Prophet Muhammad(peace be upon him) was a perfect example of an honest, just, merciful, compassionate, truthful, and brave human being. Though he was a man, he was far removed from all evil characteristics and strove solely for the sake of God and His reward in the Hereafter. Moreover, in all his actions and dealings, he was ever mindful and fearful of God. In his book, The 100: A Ranking Of The Most Influential Persons In History, Michael H. Hart stated: My choice of Muhammad to lead the list of the world’s most influential persons may surprise some readers and may be questioned by others, but he was the only man in history who was supremely successful on both the religious and secular levels. I believe that if a man like him were to assume the leadership of the modern world he would succeed in solving its problems in a way that would bring to this world much needed peace and happiness. He is a prophet and not a poet and therefore his Koran is to be seen as a divine law and not as a book of a human being, made for education or entertainment. How one man single-handedly, could weld warring tribes and wandering Bedouins into a most powerful and civilized nation in less than two decades.” …”The lies (Western slander) which well-meaning zeal has heaped round this man (Muhammad) are disgraceful to ourselves only.